Not much to say as not much happens. Woo hoo…. 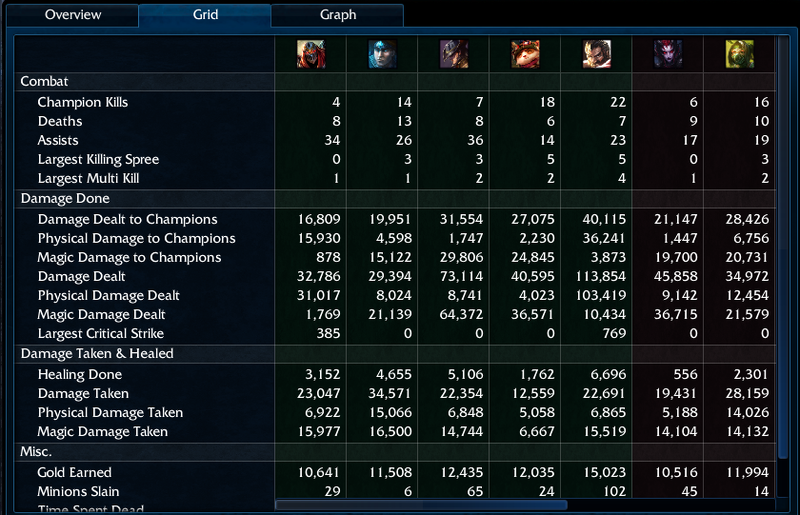 *silence*….200 wins in ARAM…. *more silence, crickets chirping in chorus*….NOBODY CARES!! It’ll take 300 towers and 300 wins to get platinum badges, at least based on reading the forums. There is no reward for this milestone except if you count another 2 months of exclusively ARAM matches to get those plats. They won’t count for a Season 3 summoner frame. They do little for any play cred as it’s ARAM, not Classic and not Ranked. The stat caps for specific badges in ARAM only really matter if you like the pretty badges to show up when you browse your stats. OK, I’m glossing things over, but you get the point. Yet in my small world of League of Legends gaming, I am compelled to post it. Life has been particularly busy for weeks now between work and the start of school for kids. In the rare moments when I have some free time…usually late at night or very early in the morning…I squeeze in an ARAM match. I am very close to 200 wins. 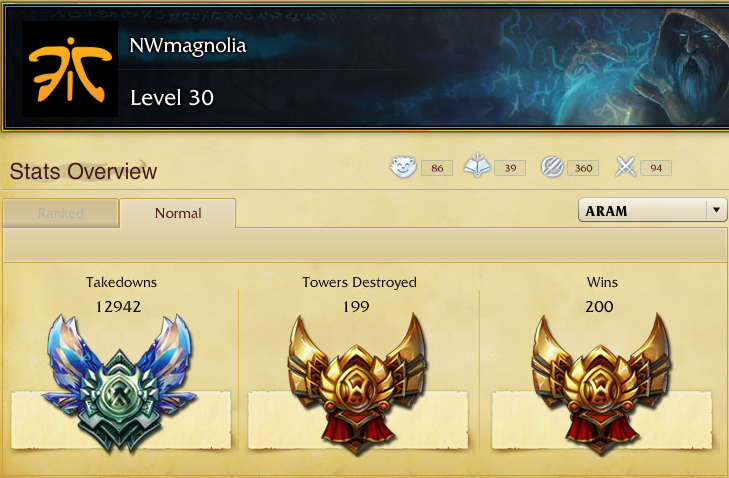 It’ll only take several more months to hit the 300 I need for platinum in wins and towers (ha! ), though I have been diamond in take downs for some time now.